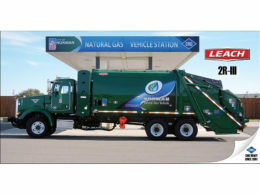 Leach offers a solution for automated garbage collection with rear loaders. 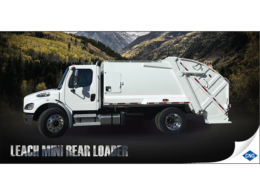 The Leach Mini Rear Loader is a small and maneuverable garbage truck that will go where full size garbage trucks won’t go. All available configurations from 8 to 17 yd³, are FET exempt. The large hopper makes it a highly productive unit. 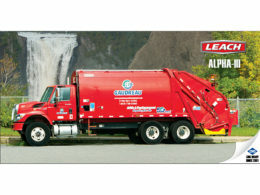 The Leach Alpha-III allows you to collect more refuse per cubic yard than any other truck. Its diamond-shape ejection panel combined with its curved body technology guarantee loads are evenly distributed and that available volume is fully maximized.